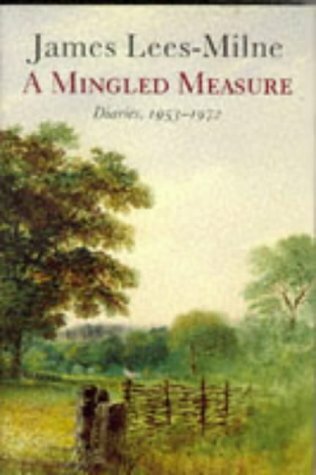 Home Lees-Milne, James A Mingled Measure Diaries 1953-1972 Diaries, 1953-72. A Mingled Measure Diaries 1953-1972 Diaries, 1953-72. This text continues the sequence that established James Lees-Milne as a well-known 20th-century diarist. The author has ceased to work full-time for the National Trust and we now see him in kaleidoscopically varied company, including Colette, Oswald Mosley and John Betjeman.